Today turned into a self- guided learning and game day. 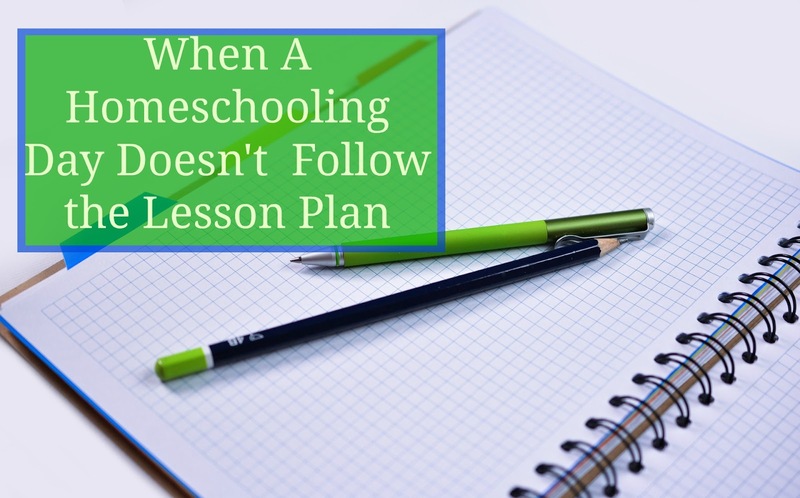 It wasn't on the plan; but then when does homeschooling really go as planned? After several years of homeschooling I have realized that it's often just best to go with it. Those days that don't follow our lesson plan often end up being some of the best days we have! The boys often learn so much when they're the ones guiding our activities. I knew Evan and I needed quite a bit of time to pull together his fake kimbap recipe for his geography fair report so I had told the boys this morning that they only needed to do some reading and math today. I thought they'd get all the required work out of the way and enjoy their day but they surprised me by requesting more things to do. Meanwhile I had no idea that Evan had started on his math. He chose a page in his Star Wars book that dealt with subtracting three digit numbers from larger three digit numbers. These didn't require any regrouping and I was so thrilled to discover that he had the entire page done on his own before I had even realized he had started it! Ian too was hard at work on his math and chose to do two more pages in his measurement book. Towards the end of our morning Alec finally settled down to work in his math book and completed two more pages; one dealing with ordering measurements and another working on filling in the missing numbers from various addition, multiplication and division sentences. The boys all ended up getting a lot of math practice in today through their workbooks and the various games we played. We played many, many rounds of Mastermind and Battleship; each taking various turns and battling different people. Evan learned how to mark and call out coordinate pairs while playing Battleship. They all used reasoning skills to work out their guesses in Mastermind and Battleship. The boys also went through their Easter bags and pulled out any of the money they had received or found. They added up what they had gotten then added that amount to what they had in their banks or wallets. Evan went so far as to compare his money to Alec's money. He was able to tell me who had more and by how much. He also looked up the prices on some of the Minecraft Lego sets and determined which sets he had enough money for and which sets he still needed to save up for. Evan also did some math when he was cooking up the rice krispie treats too. Evan and I played some sight word bingo at his request. He was happy to squeak out a win for himself; he was a good four sight words behind me in filling up his whole board and ended up winning. He read all the words on my board, on his own board, and all the words that we picked out of our picking pile too. We played a few rounds of Evan's favorite game Sorry Sliders too. Evan read the story Puppy Mudge Finds a Friend. He did amazing and sounded out all the words on his own if he did not know them. I noticed him reading a lot of random words today as the day went on. He looked at the back of the Puppy Mudge book and read "ready to read" out loud to no one in particular. He also read the title off our Harry Potter book as well as the author's name. He read the title off the Rice Krispies webpage and a few of the ingredients too. He's just reading up a storm lately and I love watching him working so hard. Most nights he's asking to read me a story before going to bed. He typically re-reads the story we read during school time but I love knowing that he's willing and initiating extra practice. We had a huge impromptu lesson about turning books into movies today too. Evan had started by asking all sorts of questions about JK Rowling and we looked up her bio on the computer. We learned about how old she is, where she lives, what JK stands, etc. He then asked when the first book and movie came out. We counted out how many years it took for the movie to follow behind the book and talked about why that was. He then asked if she wrote the movie too. We talked about screenplays and what they're like. Who writes them. What it means to sign away the rights to a book and what it means to work collaboratively. We talked about how author's make their money and how much money they make. I told them about the movie Saving Mr. Banks and it's relation to Mary Poppins. They were all interested and asking questions and our discussion must have lasted close to half an hour. Ian and I read another chapter in The Hunger Games and this time I got him to read three pages of the chapter out loud to me. He rolled his eyes at my request but when I pointed out that he had read the first page fluently and without a single mistake he kept reading. We're enjoying the story so much and I love the discussions we have when we're done reading our chapter. He questions the capital's motives, why the people in the district's comply, and even why the tributes are the way that they are. He's learning new vocabulary words every day and some of them are quite unusual like "entourage". He often compares the movies to the book and has already told me he's planning on re-watching the movie when we finish this book. Katniss has just arrived in the arena when we left off reading today and I've already told Ian that the book really gets interesting and even a bit bloody from this point. The boys have been very busy working on some costumes for themselves made out of cardboard boxes. Ian had gotten a large beanbag chair in the mail yesterday and the boys spent all afternoon and even part of the night last night working and playing with all the cardboard boxes they could find in the house. They cut out neck holes, air holes, and arm holes. They made helmets, armor and robots. They pretended the boxes were forts, shoes, and whatever else they wanted. They've been working cooperatively and using their imaginations to come up with some really elaborate play ideas. Today they continued working on them for a bit. Alec finally managed to cut out both arm holes and he modeled his creation for me. During lunch I offered to read some more Harry Potter and the Deathly Hallows. As I've been reading these past two days, Evan has had a lot of "a-ha!" moments. There were many parts of the movie that weren't really explained as they happened and now he's putting the movie together with what we're reading in the book. Certain parts of the movie are starting to make sense to him now and he's getting very excited about all that he's learning. Ian spent a portion of his day yesterday re-watching the last movie to jog his memory about what happens. Today they decided to stay inside but Ian asked if he could play some video games. Ian rarely plays so I agreed and he had a great time catching fish on Sega Bass Fishing. Evan and I made his sushi kimbap while Alec worked on his box. All three boys were quietly involved in their own activities and it was nice to see them all working hard at something that they were interested in. When Alec and Evan were done they convinced Ian to take turns with the Wii remotes and all three boys told me that the sports games were like gym/ exercise class. Normally, I might be inclined to argue but with the yucky weather we've been having and the way my kids jump and go crazy playing games they do work up a sweat and I figured it had to be better than watching a movie. Besides I try never to interfere or say no when all three of agree on what to do and play nicely together. They played ping pong, golf, baseball, and more.